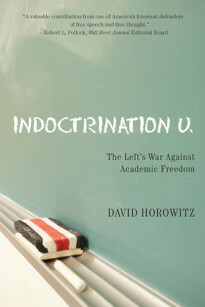 DAVID HOROWITZ is a nationally known author and lifelong civil rights activist. Previously a long time founder of the New Left movement in the 1960s, he has gone on to pen numerous books, including The Politics of Bad Faith, The Art of Political War and Radical Son, his autobiography. Since 1988 he had served as president of the Center for the Study of Popular Culture, a vehicle group for his campaigns and his online newsmagazine FrontPageMag.com. 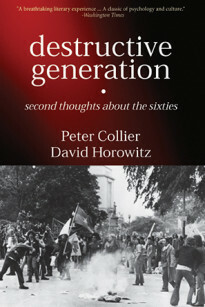 David Horowitz reflects on the years he spent at war with his own country, collaborating with and confronting radical figures like Huey Newton, Tom Hayden and Billy Ayers. In The Anti Chomsky Reader, editors Peter Collier and David Horowitz have assembled a set of essays that analyze Chomsky’s intellectual career and the evolution of his anti-Americanism. The essays in this provocative book focus on subjects such as Chomsky’s bizarre involvement with Holocaust revisionism, his apologies for Khmer Rouge tyrant Pol Pot, and his claim that America’s policies in Latin America in the 1980s were comparable to Nazism. The Fords: An American Epic is the dramatic story of three generations of Fords and of the dramatic conflict between fathers and sons played out against the backdrop of America’s greatest industrial empire. From the details of Henry I’s illicit affair, which produced an illegitimate son, to the life and loves of “Hank the Deuce” and his celebrated feud with Lee Iacocca, this is an engrossing account of a vital chapter in American history. The Kennedys may well be the most photographed, written about, talked about, admired, hated, and controversial family in American history. But for all the words and pictures, the real story was not told until Peter Collier and David Horowitz spent years researching archives and interviewing both family members and hundreds of people close to the Kennedys.